In order to obtain a mortgage pre-approval, the buyer needs to provide their lender with a picture of their financial situation. They will also supply the lender with documentation – W2s, paystubs, tax returns, bank statements, etc. After receiving the documentation, the lender analyzes the buyer’s information and determines if they’re eligible for a loan. If they are, the lender issues a mortgage pre-approval for a certain amount. That pre-approval is then eligible for 120 days. 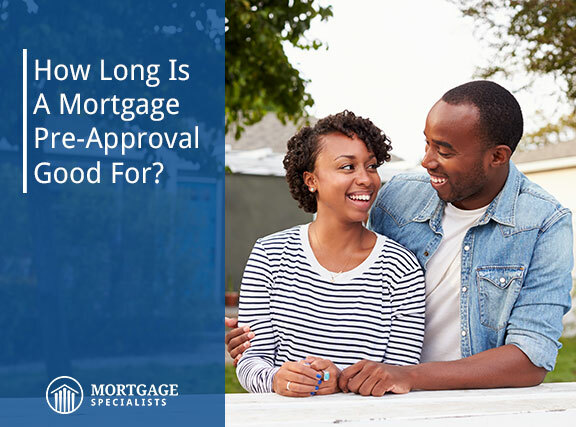 If you still haven’t found the right home before your pre-approval expires, you must provide updated documentation to your lender for them to determine whether you’re still eligible for the same loan. So, if a pre-approval is only good for 120 days, why do lenders suggest you get pre-approved six months to a year before you’d like to buy? One of the biggest advantages of getting pre-approved before you begin house hunting is that you know what you can actually afford. Sure, we all think we have an idea of how much house we can afford, and often it’s correct. But too often, clients assume they will qualify for a mortgage similar to one their friend or colleague qualified for, which isn’t always the case. The best way to find out how much you can afford is to get pre-approved ahead of time. Then if you aren’t quite where you want to be financially, you have time to strategize on how to save more. On several different occasions, we’ve also had clients discover issues on their credit reports while seeking a mortgage pre-approval. These issues can take weeks, even months, to resolve and can greatly affect the type of loan and interest rate you qualify for. It’s always best to resolve those issues right away so they don’t have a negative impact on your credit score. To be taken seriously by your real estate agent, you need to be pre-approved. We’re not trying to say that your agent won’t show you homes if you aren’t pre-approved, because they may still. But being pre-approved allows your real estate agent to do their job better. With an understanding of your actual price range, they can show you homes that fall within that range. On average, it takes 45-60 days to close on a home, from when the purchase agreement is accepted to closing. We’re often able to help pre-approved buyers close in less time than buyers who aren’t because we’ve already received and verified their information, meaning we only need to collect the most recent documentation, if that. If you’re thinking of buying a home in the next six months to a year, we urge you to get pre-approved now. We’ve made the pre-approval process at Mortgage Specialists as pain-free as possible. To begin, click the ‘Apply Now’ button at the top of our website. After filling out and submitting the online application, we’ll be touch within 24 hours to discuss your options or set up a meeting. If you have any questions at all, please don’t hesitate to give us a call at 402-991-5153. We know that mortgage questions don’t always arise during business hours, which is why we’re available on nights and weekends as well.